I like Mesa's interiors. They used natural materials and arranged them in artsy modern ways. Sorry for the lack of better descriptions haha! But I do hope you get what I mean. But anyway, the important thing is the delicious Filipino food! Hito Flakes on Spoon are fine and crispy pulled catfish and mango salsa. I wasn't able to try this one for some reason, but Richie seemed to like it. 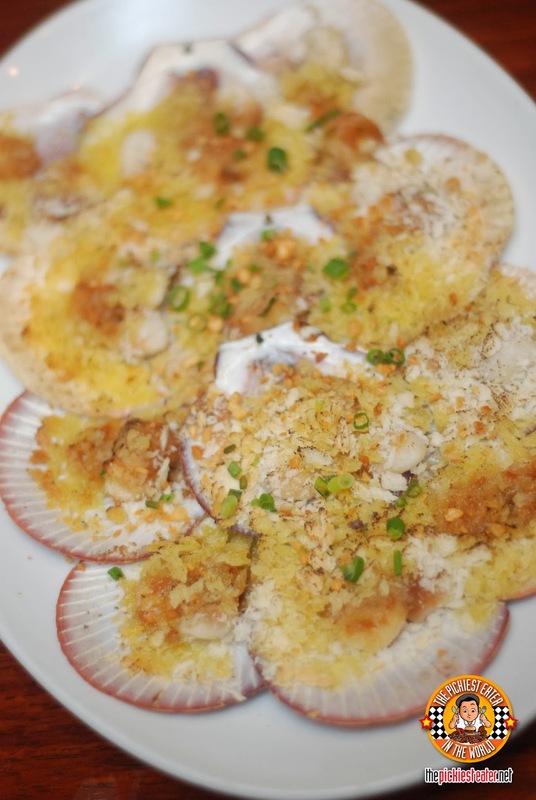 The Baked Scallops with Garlic Butter are scallops on a half shell.... Butter power! Sorry I just had to hahaha! If you're a 90's kid you'll know what that song is ;-) Anyway, I like baked seashells. And this one is no exception. It's really buttery and I also love the crunch factor it has. Not sure if they're from the toasted cheese or something. There was something crunchy on top of it. 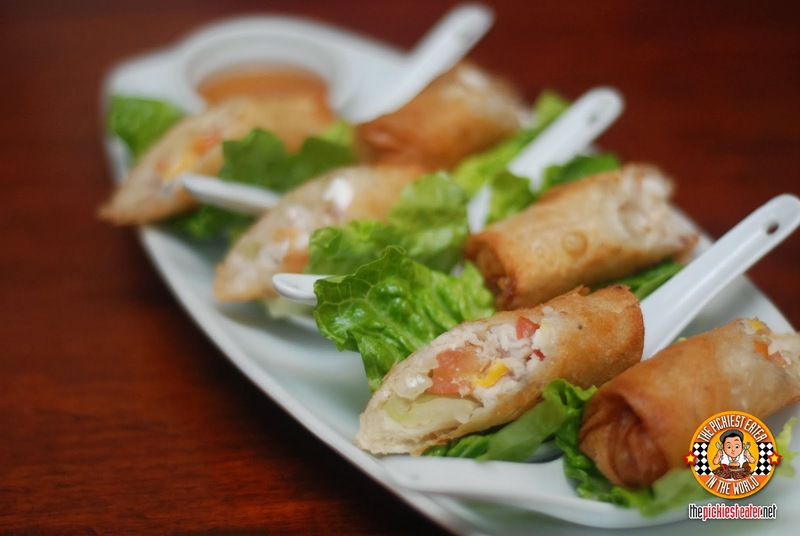 Tinapa Roll is flaked smoked fish with tomato, onion, and... get this... salted egg! I love salted egg! But I wish it was more apparent. This, my friends is my ultimate favorite that evening. 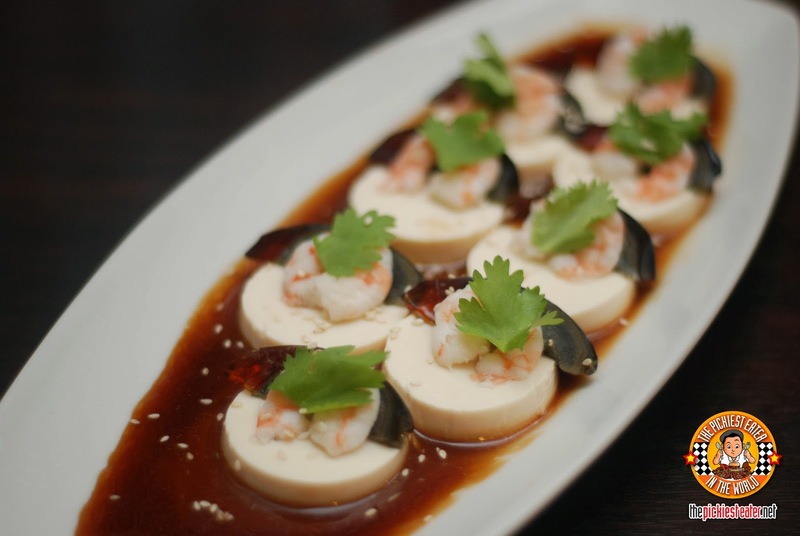 The Shrimp with Century Egg and Chilled Tofu Salad. I'm telling you, I must have stuffed my face with 20 of these. Okay that's exaggerating. But you get the point. I just love the simple flavors of the tofu with the century egg and shrimp, and then dipped in that vinaigrette sauce / hoisin sauce. It's excellent! Me likey! Just by reading the name of this special soup, you'll already know what will make it so special. 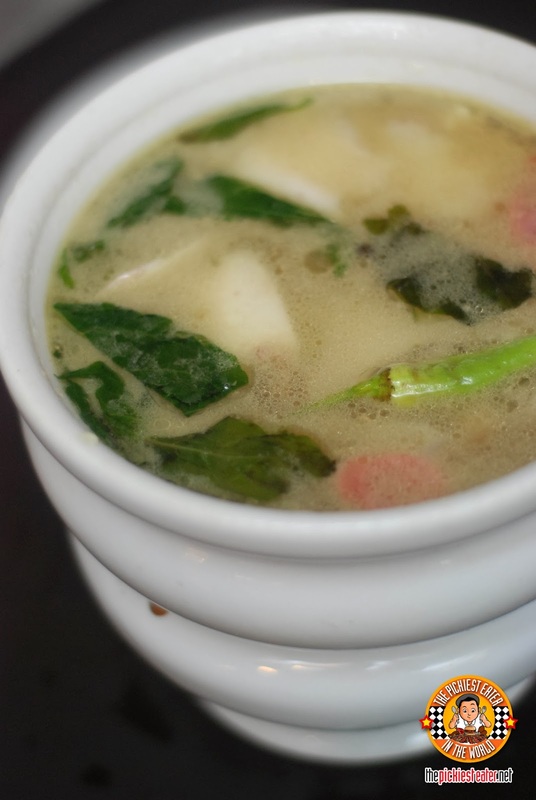 This Sinigang na Baboy in Guava and Pineapple gets its special flavors from guava and pineapple. And yes, it works. If I'm not mistaken, there is no tamarind at all. Good considering no tamarind. There's still a sour taste but there's also some sweetness that tickles your taste buds. Then there's the Chicken Binakol. Chicken broth + young coconut + green papaya. Everything in the equation just sounds like they would all add up in harmony. And they did. I love viands with coconut in the soup. It really makes it a more hearty meal. 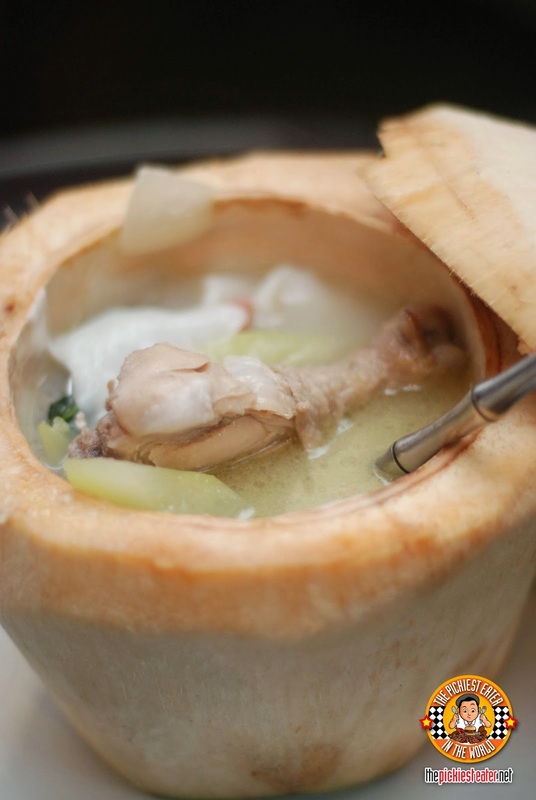 And I also love how they serve it using an actual coconut as a dish bowl! 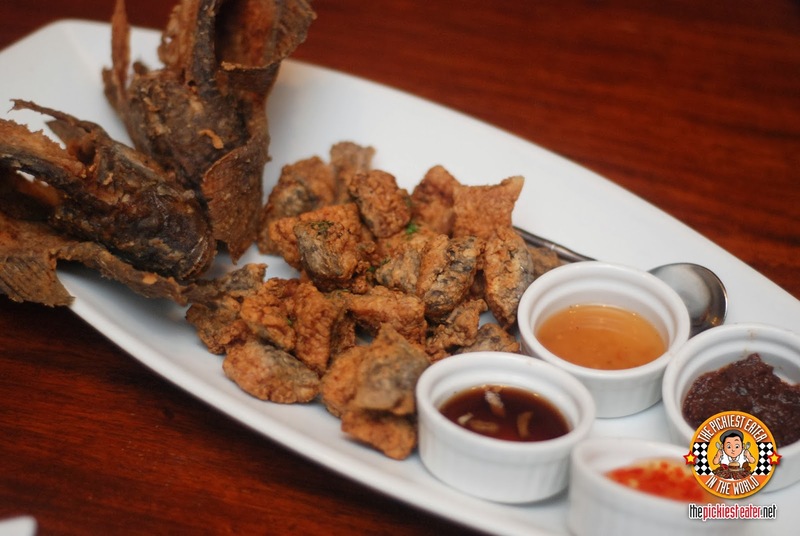 If you're looking for a good and simple vegetable dish to go with your fried viands, then you might want to try Mesa's Sigarillas. 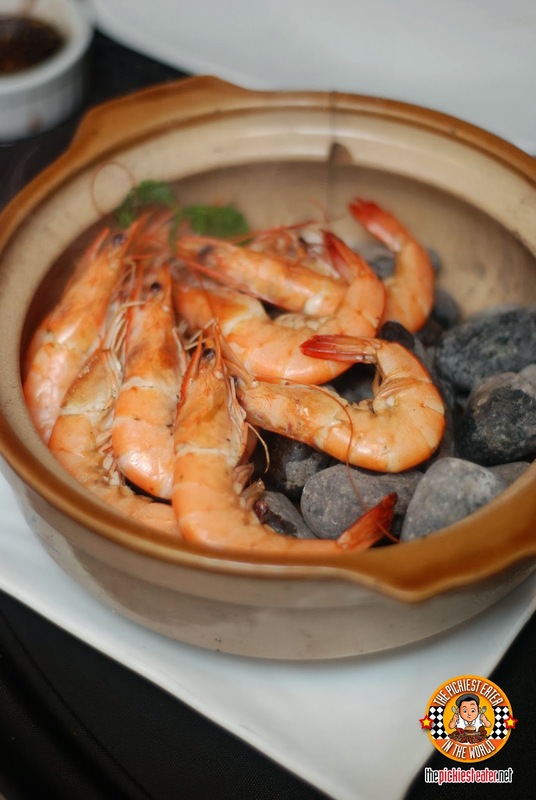 It's cooked in gata which makes it more appealing to me. I have never tasted sigarillas or wing beans until that day. It doesn't really have a taste so the coconut sauce really plays a big part here. 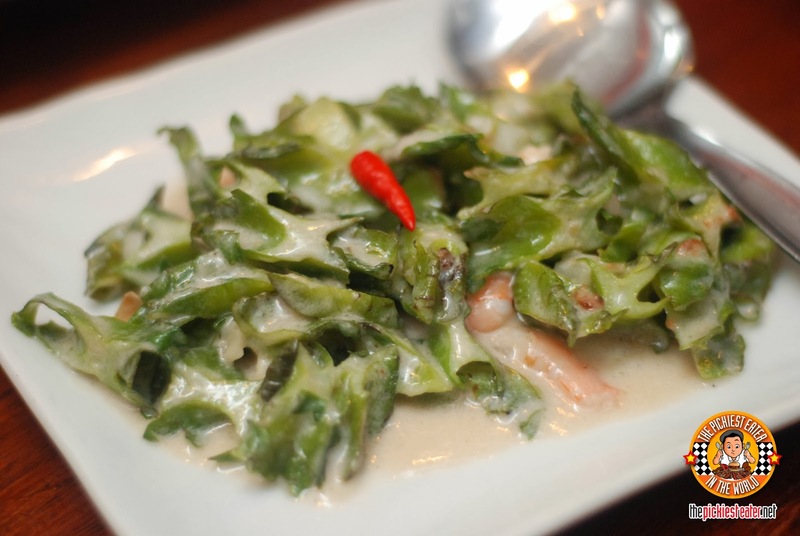 The Laing 2-Ways are taro leaves with shrimp paste, some pork, and coconut cream. And then they prepare it the normal way which is wet, and second way which is crispy. This is another one of their best sellers. I found the Pinatayong Manok good. Tender and moist, and tasty even without the sauce. It had a buttery taste to it that I liked. This is a unique presentation especially since we Filipinos are used to the pinaupong maonk instead. 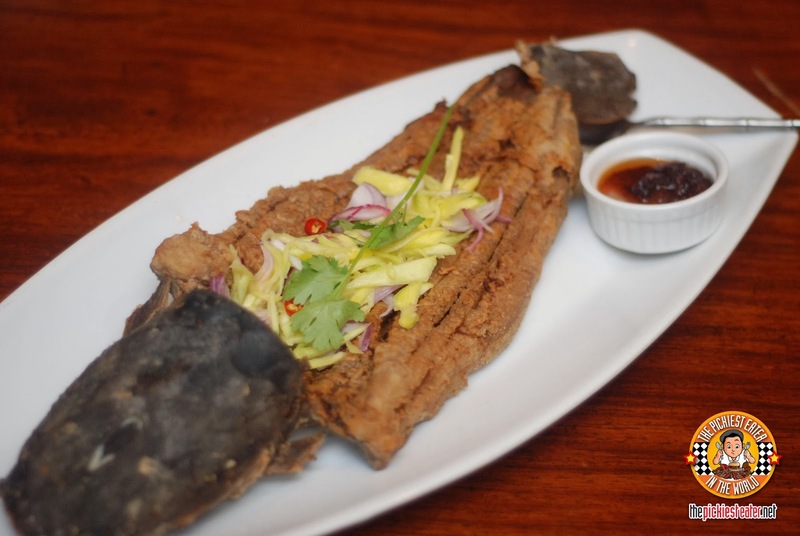 Crispy Boneless Tilapia served with four sauces. I don't quite remember all the 4 sauces, but I do remember liking the fish even without the sauce. It's already very tasty as it is. 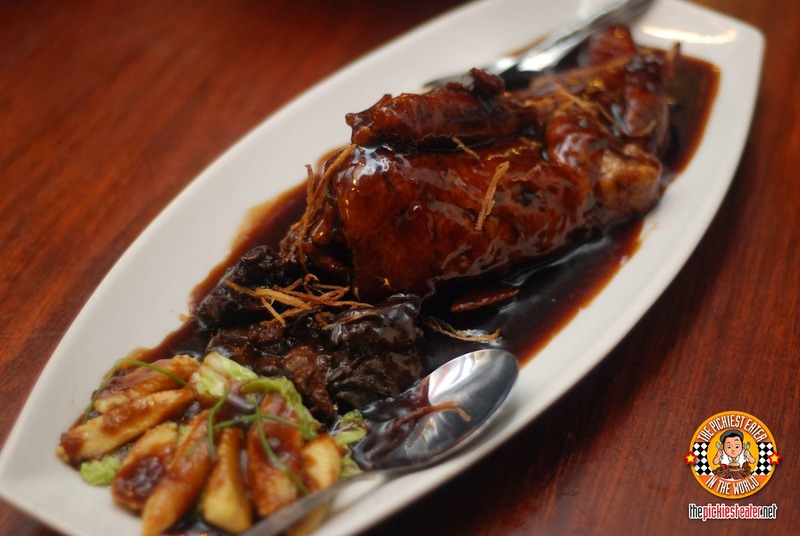 This Crispy Boneless Pata as you can see looks very inviting. Richie seemed to like it. It was just okay for me. It lacked just a bit of seasoning for me. That's just me. The Patotim is Mesa's 1/4 duck version of the patatim. This is actually an organic duck that Mesa serves to help out our local farmers. And then there's the Crispchon. 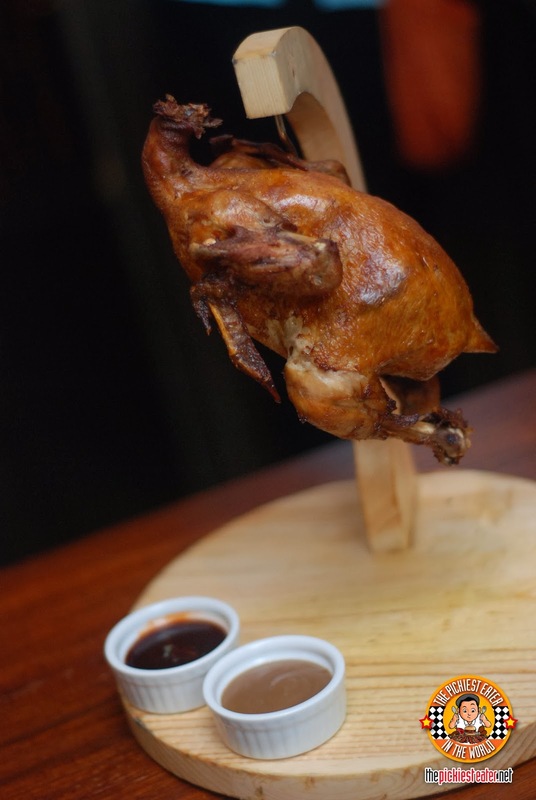 This is their version of Peking duck. You can choose from 4 sizes from 1/6 to 1 whole. It is served 2 ways. 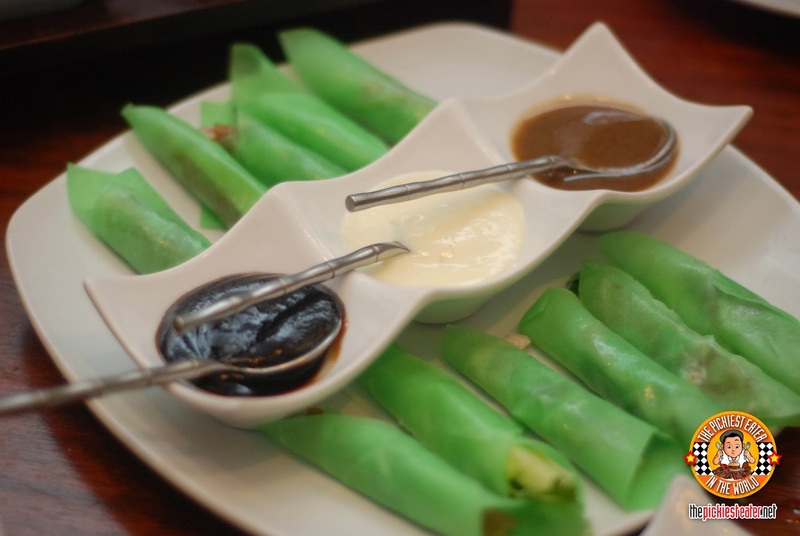 First is wrapped in pandan crepe. I quite liked it. 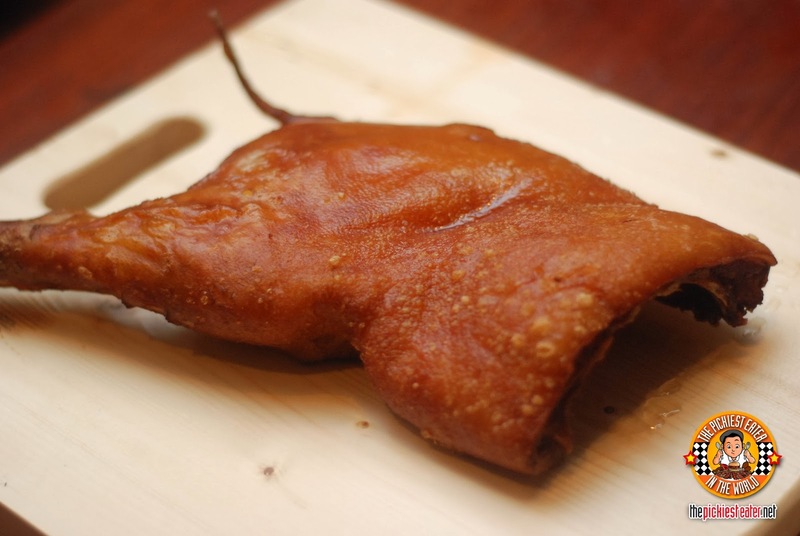 It really is sort of like a peking duck to me hahaha! 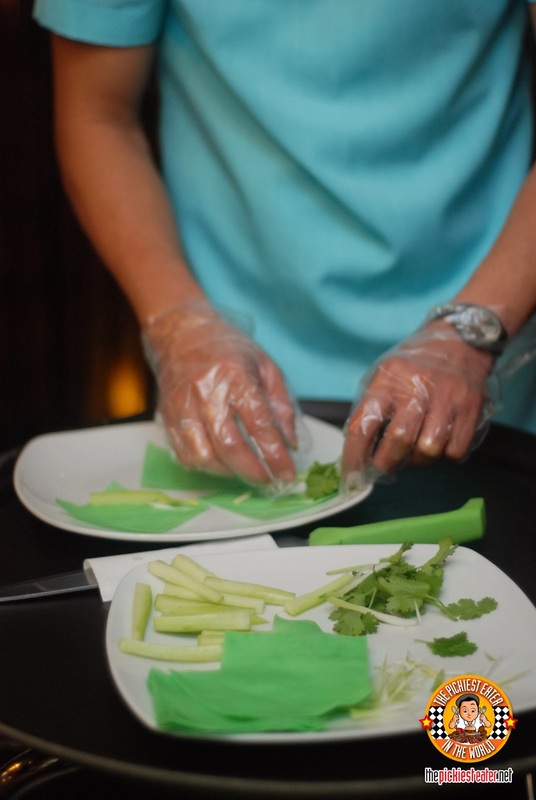 The wraps are served with three special sauces of your choice. I tried mine with the hoisin sauce and it was good! The other way is tossed in chili garlic. 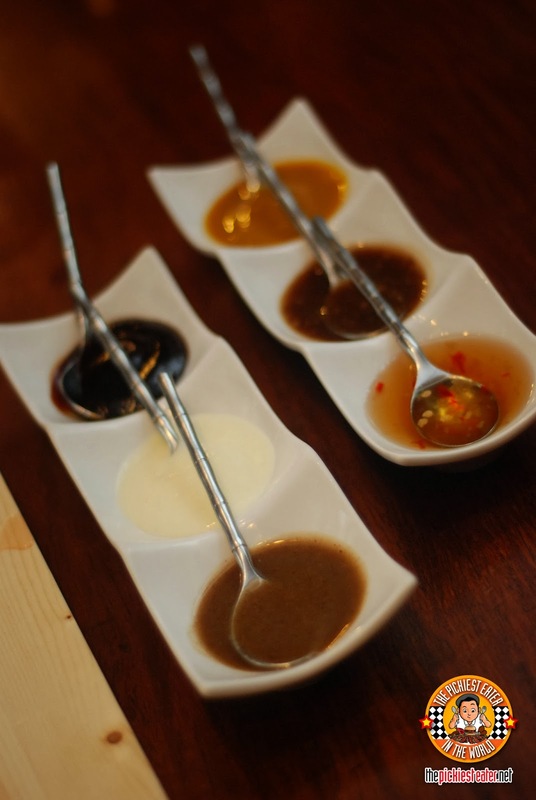 The other sauces that you can choose from are Rikki's choice, garlic mayo, sweet chilli, spicy pork liver, wansuy infused, and curry mustard. Mesa apparently has lots of rice choices that you can choose from.And they're not the usual fried or java rice. 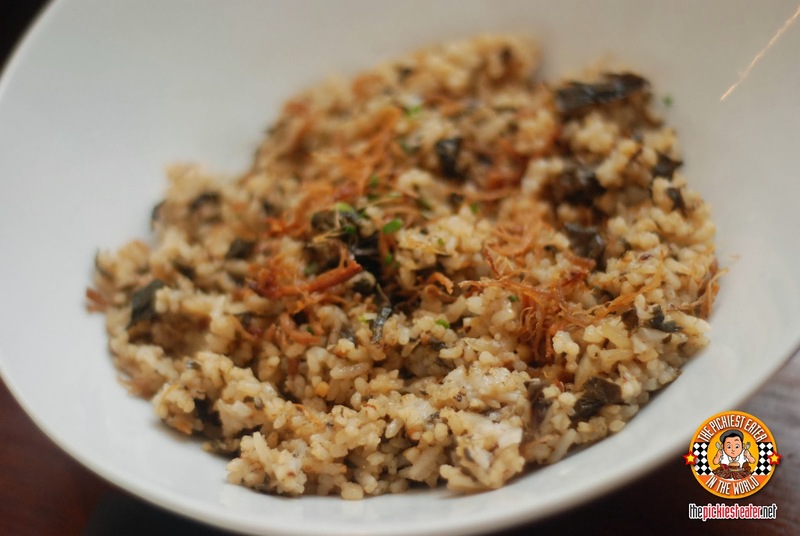 So aside from the plain and garlic, Mesa also serves Laing Rice which is basically fried rice with gabi leaves and coconut cream giving it a hint of sweetness to this healthy fried rice! 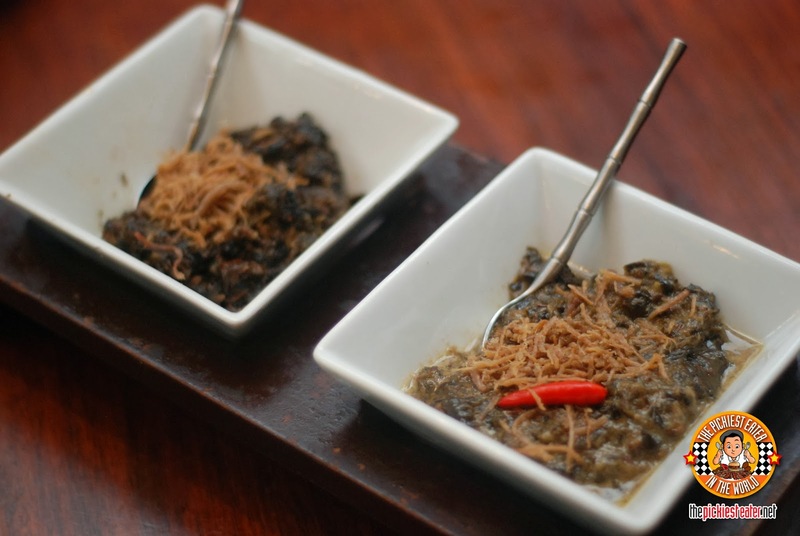 If you love Laing then you definitely should go for this one. 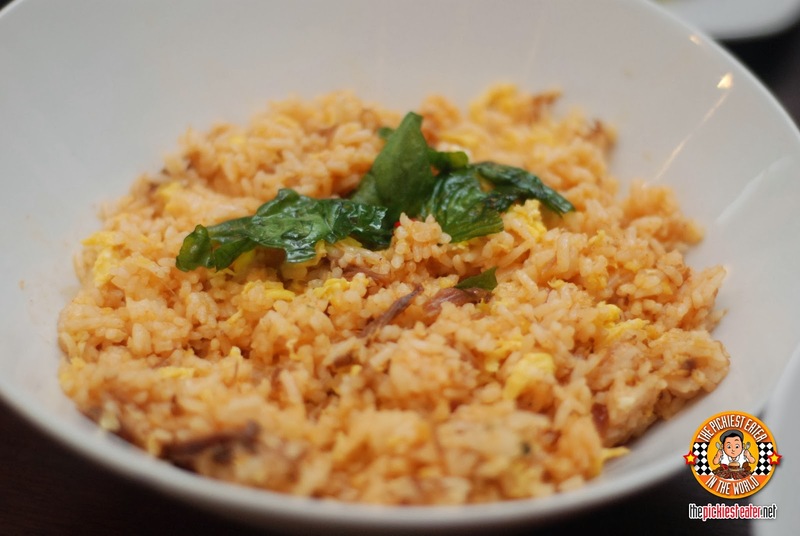 They also have the Duck Basil Rice which has duck flakes, some chilli and basil. The amount of heat is just right. Not the type that makes you blow steam off your ears like a cartoon. It's just the addicting amount. And last rice for that night but most definitely not the least is the Tinapa rice. 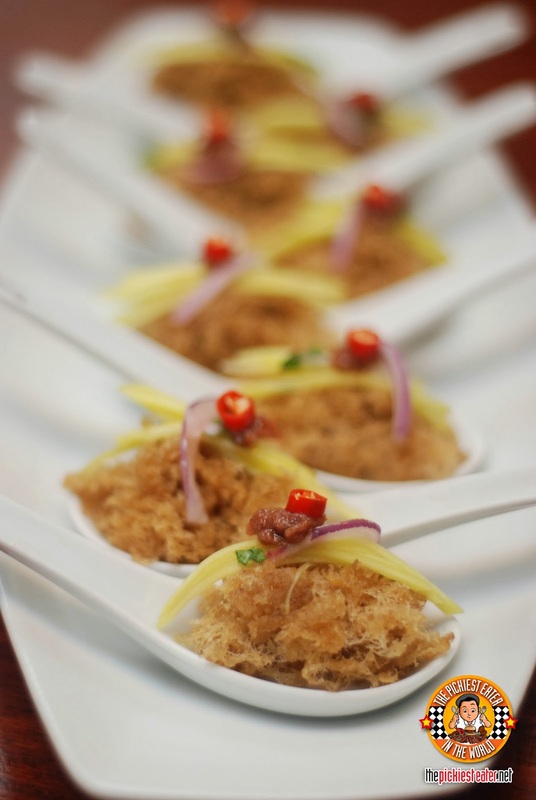 It has smoked fish flakes, red salted egg, and tomato. Beautifully presented too! This is the perfect breakfast rice for Filipinos I must say! 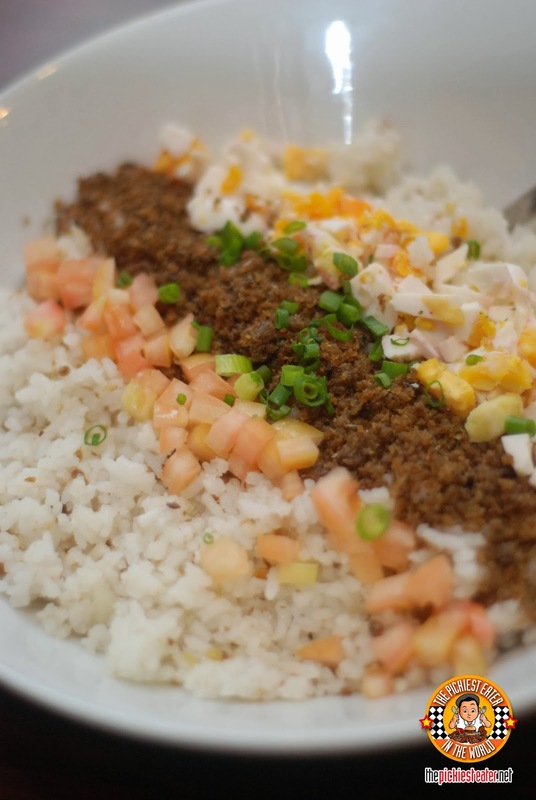 They also have sisig rice. 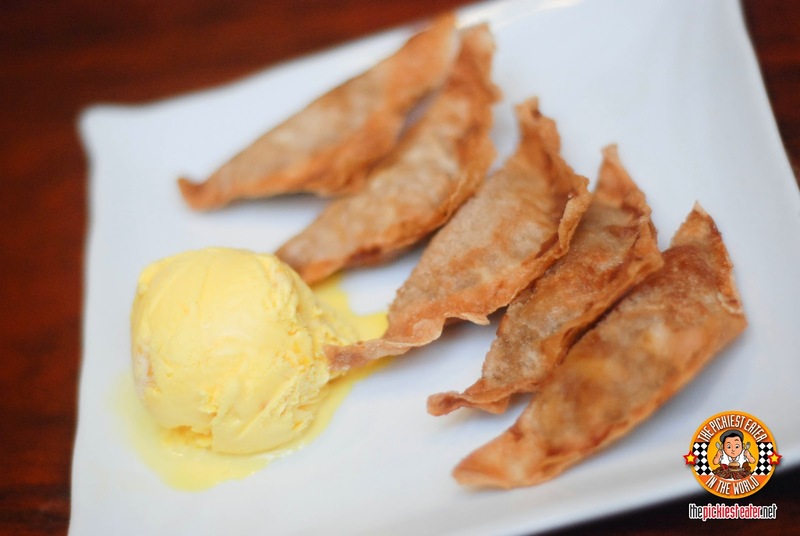 And then finally, our sweet ending for a very long feast, is the turon with ice cream. Love the combination of the hot and sweet banana wrap with the cold yummy ice cream. I'm glad we were able to try Mesa. 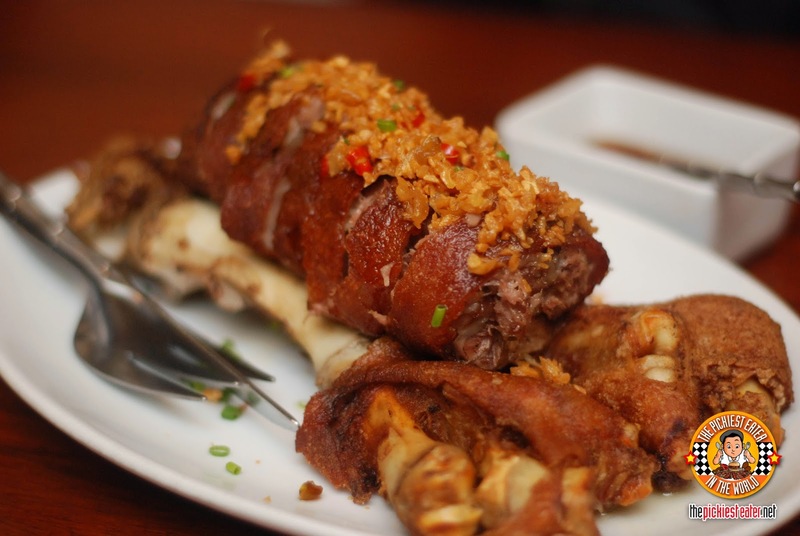 It's really a good restaurant where you can enjoy amazing filipino dishes with a twist! 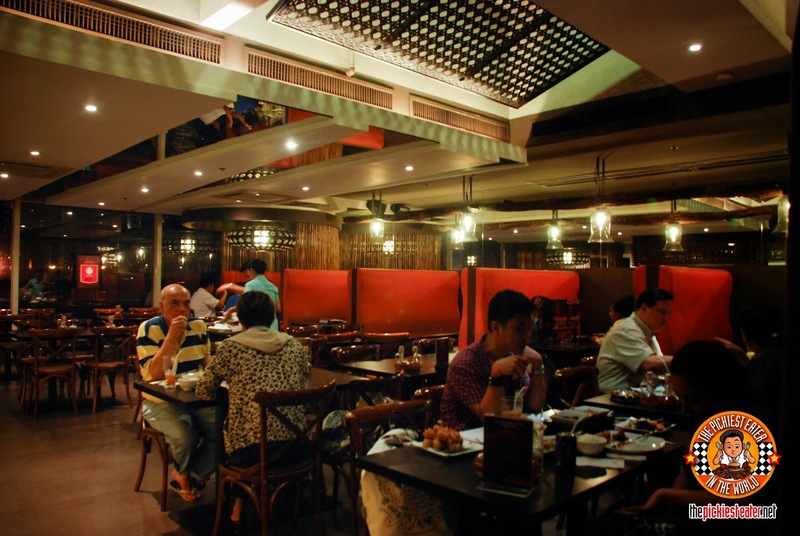 If you have balikbayan relatives, then you might want to take them to Mesa for lunch! 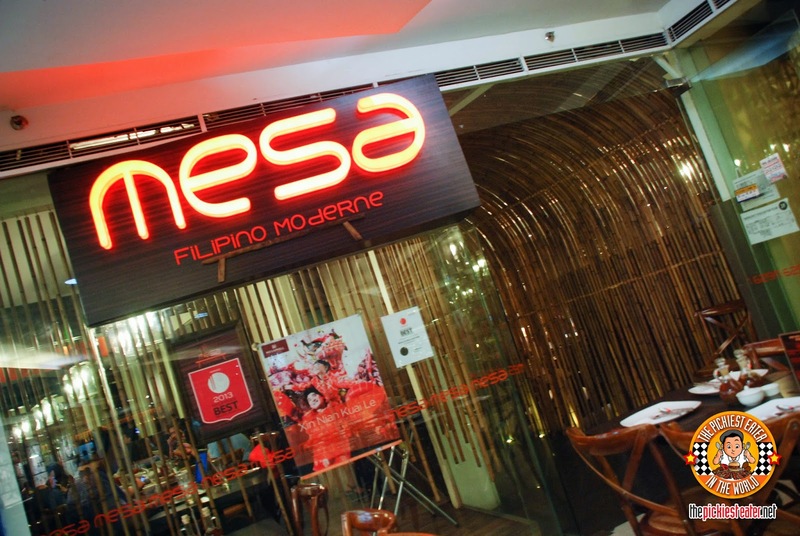 Check Mesa's official website at Mesa.Ph And you may check their whole menu here, and their list of branches here. I love Mesa's Crispchon. I love it tossed in chili garlic compared to the wrapped version. I think a trip to Mesa would not be complete without ordering Crispchon.